By default, when using the Ebay feed(s) your Actinic products are imported into Ebay as fixed price 10 day auctions and accepting Paypal, cheques and Credit cards as payment. Before you can upload any of your feeds you need to define your Location (the Location – City/State field) and your Paypal email address. If any of this information isn't’t correct or you want to change the format you can amend the Properties used. There are a large number of fields that can be defined for your products, these are explained, in detail, on the appropriate Ebay product site. The majority are self explanatory, for example, Accept Paypal, where the choice of values is Yes (1) or No(1). Type in the name of the file to store the Ebay information to (including the directory). The file should end with csv, for example, ebay.csv. Once the feed file has been created this needs to be imported into the appropriate Ebay product. A brief explanation of how to do this for each product is described below, more details are available on the appropriate product’s website. The current major released version of Turbo Lister is 2 (known as Turbo Lister 2). After running the program, Under the File menu, select Import items and then From File. 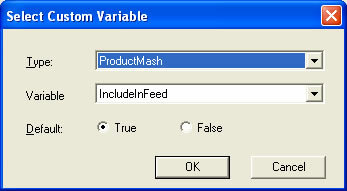 Simply select the file that has been created by the product mash (in the example shown , ebay.csv). 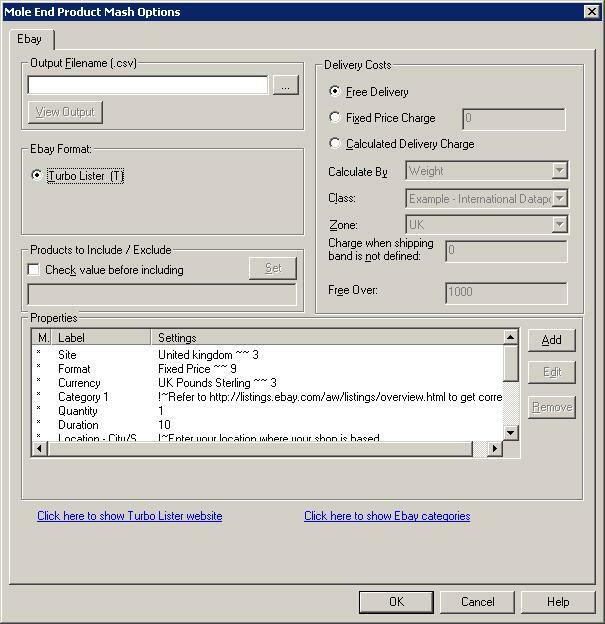 When you import items into Turbo Lister they are created in a folder which contains the file imported with the number of items imported. If you import the same product more than once it will be created as a new product each time. You can move items between the folders once imported. Once the products have been imported you can assign any specific details for the products (depending upon the Ebay category chosen). This can be done by selecting Edit Item Specifics (or using Ctrl I). The property type can either be a standard Ebay type or you can specify your own. 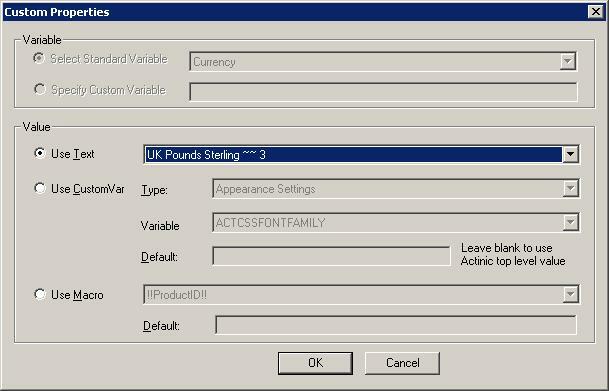 NOTE : If you want to override the default values generated from your Actinic product details you can do this by supplying your own values (fixed or from a CustomVar). You can override the following values by selecting the relevant Standard Variable (in the Variable section). For example, to use a different image for the product when displayed in Ebay (from your Actinic shop) you would select the Image Standard Variable. You would then define a fixed value or use a CustomVar to get the image to display (for example, http://www.ObeliskHoldings.TV/graphics/house3.gif). Name of product. This defaults to the product name provided in Actinic. Description of product. This defaults to the main product description defined in Actinic. Image to use for the product. This defaults to the image defined in Actinic for the product. HTML page to display when the product is clicked on. This defaults to the product page within your Actinic shop. Cost of the product. This defaults to the calculated price within Actinic. Unique identifier for the product. This defaults to the Actinic product reference. To have the same value for all of your products select the Use Text option. To have a different value for a shop section select Section under Type. To have a different value for each product select Product as Type. If Use CustomVar has been selected you should select a CustomVar (defined within Actinic and values assigned for each product) to retrieve the information from. If you are using Actinic V8 or above you would create CustomVars by creating Variables in the Design Library. You would normally create these in the General Group. Also add in a Default value to use for the product. This will be used if a Custom Var hasn’t been used for a product.